Based on the successful 550 Fly model, the Skydeck offers the same stunning performance and class leading interior space. The top deck is occupied by three seats, a wet bar and plenty of sunbathing space, that can be automatically closed off in a matter of seconds by the sliding laminate roof. So the WSB team decided to take a closer look at this unique polish built sports cruiser and find out if all the innovations are true. 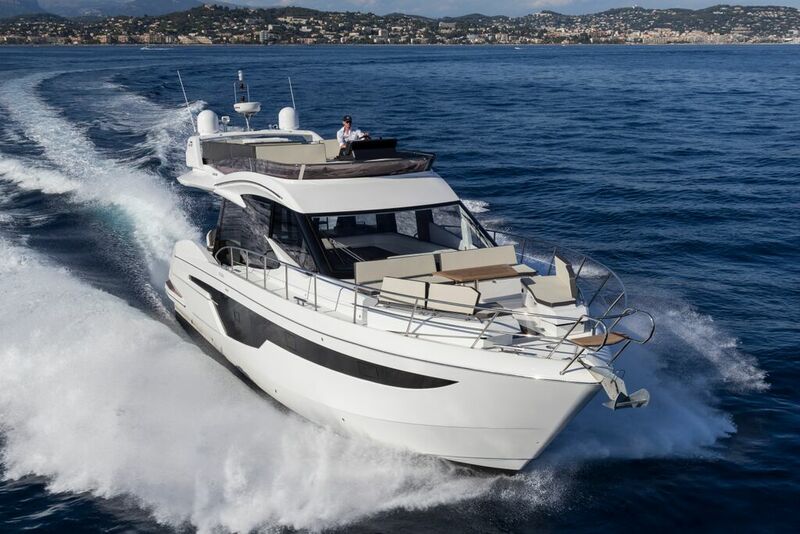 Taiwanese boat builder Horizon Yachts announced the launch of their brand new E56XO sport yacht this summer break; this model, unveiled in December 2015, is based on the E56 motor yacht but features a lower profile for a sleeker, more sporty look. The WSB teams takes a closer look at this sports cruiser from down under. Azimut the Italian yacht-manufacturing company kicked off the year with a world premiere launch of their Azimut 66 Flybridge, a shining new example of their ability to innovate to the next level. 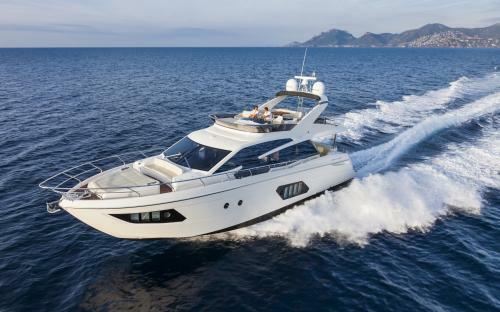 The Azimut 66 is part of the Flybridge Collection, the most classic of Azimut’s collections, and the one which has seen the most important renewal of its stylistic and technical content. Dubbed the “ultimate party” boat by Galeon, the new 500 Fly has a new innovative dynamic in movable platform features which set it apart from the rest of the competition, but is it a true party boat? The WSB team step on-board to check out if gimmicks ring true. Grandezza has being expanding its range consistently this past 24 months and one that stands out is the new 40 FLY is based on the Grandezza 39 CA. In addition to second helm position the flybridge delivers a huge sunbed, another wetbar and dinette with extensive seating and a great view. The design goal was to create, for the North and Central European markets, a motor boat suitable for family use that will be internationally top ranked in its size class for its design, functionality, safety, and quality. 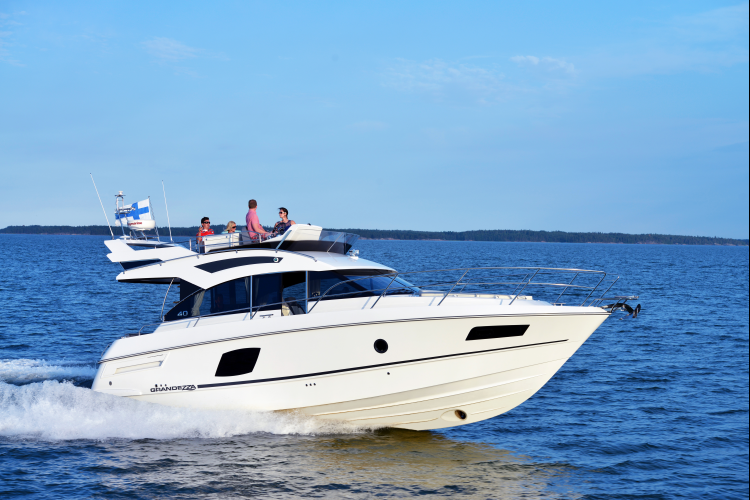 The boat has a clear and functional layout, with the features accustomed to a traditional sport cruiser. The WSB takes a closer look at this new arrival. The overall image that depicts the mission of the company Absolute takes shape with energy year after year. It’s an image full of strong personality, that of made in Italy, of navy, of fascinating and inimitable style, of innovative technology. It’s an image that strikes for sharpness and rationality in all its details, and for the absence of confusion and uncertainty. It’s an image composed by different pieces, a mosaic in which each piece is distinct, unique and independent, but included in an unitary and harmonious vision. All of this wrapped up in their newest arrival the Absolute 60 Fly, the WSB team take a closer look at this new Italian stallion.